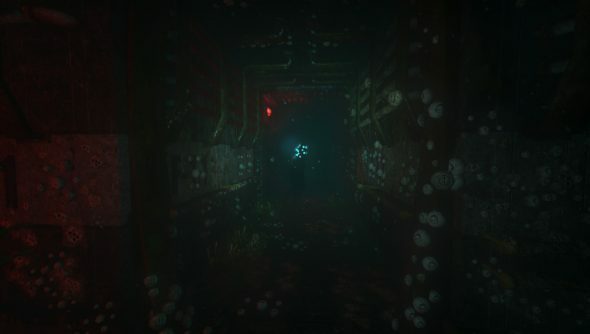 SOMA proved a markedly different beast to what many were expecting, be they die hard Amnesiaholics or those who, like me, cower in fear at even the idea of playing one of Frictional’s games. That’s just one of the many facts revealed in a blog post released by Frictional today that goes over the game’s sales, its review scores and where it leaves the company for the future. They’ve also made up a new Accolades Trailer to show off how much we all love it. As for sales, they’re up to 92,000 after 10 days, which they say they’re pretty happy with and will be enough to let the studio stay open for the next two years on its own. They go into some more detail about how that stacks up against previous games and what they’re hoping for in the future, but the short version is way better than Dark Descent, a bit worse than A Machine For Pigs and hopefully its current rate of around 2,000 sales a day continues for as long as possible. Regular sales of previous titles over a number of years are pretty much what keeps them afloat between games, so how SOMA does in that regard will be vital. They also chat about managing expectation and how many believed SOMA would be more similar to Amnesia than it was, and how that hurt some impressions of the game. The balance between making sure people know it’s from those guys wot did those horror games but that it is its own thing that also happens to be quite scary was, they say, quite a challenge. Still, seems to have paid off across the board in terms of public perception, review scores and sales. There’s also some tiny hints as to what they’ll be up to next. They’ve mostly finished up post-release patching and bug-fixing, meaning the studio will be taking a break. Then it’s back to document the engine and game to help out modders and then “on to new secret projects.” They’re keeping super-schtum about what that entails. If you’ve not jumped in to SOMA yet, it’s on Steam, GOG and Humble at around £20/$30/€27. I’m considering it despite my bed-wetting nature, partly due to the talk of the horror taking a more psychological slant than jumpy one. Any fellow cry-babies who’ve taken the plunge and want to let me know how it is?